Have you ever noticed that after shopping for, let's say, a new pair of shoes, you notice ads for the exact shoes you were looking at pop up on social media? That's no coincidence. When you shop around for certain items, cookies track what you're looking at. PebblePost is using that same idea to allow companies to follow up via direct mail, rather than colonizing your Facebook feeds and sidebars. 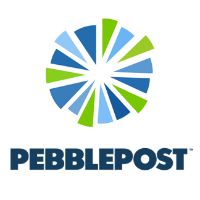 According to TechCrunch, PebblePost has raised $15 million in Series B funding for its "programmatic direct mail" project. The idea is that companies can send customized follow-up direct mail to potential customers based on their online history. Going back to the shoe example, let's say you're looking on Nike's website for a pair of running sneakers, but decide that you don't want to buy them right then. A few days later, you might get a piece of mail from Nike advertising certain products (likely the ones you were looking at) and maybe even offering some bargains. PebblePost's CEO, Lewis Gersh, previously was CEO of Metamorphic Ventures, where he claims he built "probably the largest portfolio of retargeters of any fund in the country," and specialized with companies using online behavior for targeted ads. He denounced this digital advertising, however, as "the new junk mail," and said that advertisers have to get increasingly aggressive to make people notice. He added that people usually see these ads when they're doing something else, so they don't really have time to pay attention to it. When they receive physical mail, however, they're more likely to notice while they're deciding what's important and what isn't. Plus, everyone has to check the mail. Unlike the hyper-specific online ads, which show the exact sneakers in the exact color you were looking at, Gersh's PebblePost platform won't be that detailed. (He told TechCrunch that would be "annoying" and "spooky.") Instead, customers would likely see something similar enough to jog their memory and give a gentle nudge that now might be a good time to buy. Hey, you know, I was looking at shoes the other day, I should go back and get those Nikes I was looking at! "When you look at a product or engage with a brand's product, you're starting a dialogue," Gersh told TechCrunch. He added that PebblePost is a way for the brand to talk back, so to speak. So far, an average of 7 to 10 percent of PebblePost mail results in a purchase. Amazon Is Mailing a Print Catalog—Are You?